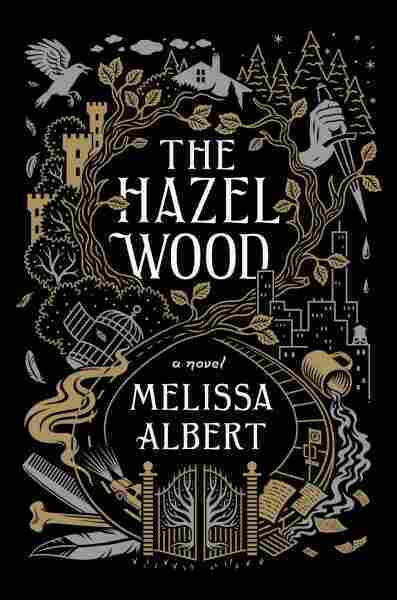 'The Hazel Wood' Has Few Uses For Enchantment In Melissa Albert's dark take on fairy tales, 17-year-old Alice has spent her entire life on the run from her family legacy: a terrifying mythical world created by her grandmother, a famous author. It's a writer problem: now and then, a book comes along with a premise so delicious that you wish you'd thought of it. But there is danger in a book like that. Will it deliver what you want like a golden box full of perfect snowmelt from atop the highest mountain? Or will you open the box to discover the cut-out heart of a poor maiden who never had a fair shot? Alice has spent her whole life on the run with her mother, almost as if something terrible is chasing them. They can't ever seem to escape their family legacy: Alice's grandmother is a famous author, who wrote a book of dark fairy tales set in a mythical world called the Hinterland. It's a book so rare and compelling that it has die-hard fans who've never even read it — including Alice. Alice doesn't know her grandmother, who shut herself away in an estate called the Hazel Wood before Alice was even born, but she is secretly obsessed with her and the elusive world that she created. When the news comes that her grandmother has died, it seems like maybe Alice and her mother can finally catch their breath. They settle into a life in New York, but Alice keeps waiting for the darkness to find them. Sure enough, one day Alice goes home to find that her mother has been kidnapped by terrifying creatures who may be the denizens of the Hinterland come to life. The only clue is a torn page from her grandmother's book, and a dire message from her mother: Stay away from the Hazel Wood. Alice enlists the help of her classmate, Ellery Finch, a Hinterland fanboy who just seems happy that Alice has finally noticed him. But soon their fantasy adventure turns into a horror story as the ruthless citizens of the Hinterland creep further and further into reality, seeking to terrorize Alice and use her for their own means. For the Hazel Wood is a doorway, and Alice has to decide if she's willing to go through it and find out the truth about her mysterious family. This book is crafted with all the care that goes into spinning nettle shirts for your enchanted swan-brothers and all the agony and beauty of spitting up roses and diamonds. It looks head-on at trauma, and gives its compelling heroine the space to find her truth and begin the hard work of healing her wounds. It ponders fandom and the true nature of the places we idolized as children. It even has an Alan Lomax shout-out for all the folklore nerds in the audience. I enjoyed this book very much. But it also made me melancholy. If we are so focused on the terrible parts of fairyland, we risk missing its beauty altogether. In recent years, authors have been re-examining the portal fantasies so many of us grew up reading, and reinventing them with an eye for all the horror that more innocent, dewy-eyed incarnations swept under the rug. Teatime with talking animals and magical little girls is all very well, until you realize the tea is harvested by enslaved dwarves and the little girls have dark pasts and hatchets in their pinafores, and the whole thing has been orchestrated by some strange and petty god who will only disappoint you. I respect this. It's healthy to occasionally interrogate the things that we found enchanting as children and look at the darkness beneath their surfaces. But there is a danger there as well, a danger which The Hazel Wood does not avoid completely. If we are so focused on the terrible parts of fairyland, we risk missing its beauty altogether. There is never a moment where we are allowed to look around the Hinterland and enjoy it. We don't get to wonder at its magics, or see any of its stories that have happy endings. And to me, that is the true power at the heart of fairy tales and beloved childhood fantasy books alike: They show us how to win against the dark. In these times, I think we need that hope. While I appreciate the hard truths and battles that The Hazel Wood offers, I ultimately wanted a book that believed in the power of fairy tales rather than rejecting it. I think then that it is my failing, not the book's, that left me feeling somewhat hollow at its close. But I am grateful for the journey, and for the reminder that there must be a balance.